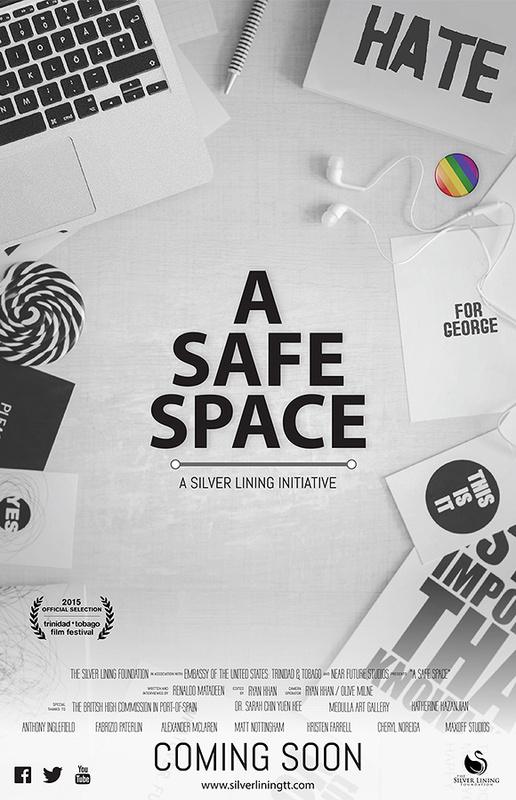 The Silver Lining Foundation is pleased to announce the world premiere of its short documentary “A Safe Space” at this year’s Trinidad and Tobago Film Festival! The film tells the story of young George Kazanjian who took his life stemming from the difficulties of dealing with his sexual identity. It goes on to tell the many similar struggles of other young people and how a brave few sought to turn tragedy into hope for others. Directed and produced by Near Future Studios and funded by the U.S. Embassy Trinidad and Tobago , the film challenges our society to begin the long journey of change that is needed for the benefit of all kids. Join us on Thursday 24th September 2015 at 6:30pm and Monday 28th September 2015 at 1:00pm at Movie Towne, Port of Spain for these special screenings of our film.